Serving customers. Serving internal and external customers for the South region – France, Italy and Spain. More explicitly, my role as an Operations Manager is that, together with my Team Leaders, manage 9 teams for Accounts Receivable and to make sure that we get the best results, quarter by quarter, for the countries we support. I started with Office Depot on January 2nd, 1996, when Viking Direct, now a part of Office Depot, opened an office in Venlo and I was one of the first 100 people hired. I had various roles in between – I was the equivalent of the Process Assistant here, then Process Specialist, Team Leader, Senior Team Leader for Holland and Belgium. When the transition of operations to Romania occurred, I became Assistant Manager Benelux and then afterwards I moved here to the Shared Service Center and took on the role of Operations Manager South. And if you asked me: ‘It’s been 16 years, how did it go?’, I’d say: ‘In a blink of an eye’. I still remember my first day, and time passes fast in Office Depot, as the company is constantly changing. I wouldn’t be here if the company didn’t change, because I would get bored; but in 16 years, I never got bored in Office Depot, because there’s always something happening and this is a thing that takes out the best in you. 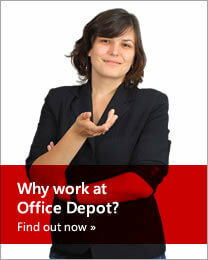 What motivates me to continue working in Office Depot is the constant transformation of the company. There are always new processes, new people, new ways of thinking, so it’s like having a different job every day. My advice for SSC future employees is to be flexible and open-minded and to enjoy the ride. You can learn all kinds of interesting things related to Accounts Receivable and Payable, which in other companies you don’t have the visibility to, get involved in projects, try new things, new systems, so it’s a great place to develop! 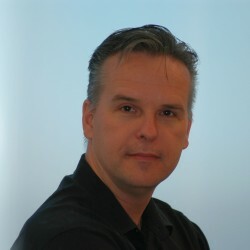 As a Team Leader of the Cash Application France team, I deal with 3 channel clients: Contract, Viking, Retail.